Ángel Hilario García de Jalón Hueto (1898-1976), better known as Jalón Angel, was one of the most prominent figures of portraiture photography in Spain during his 50 years of professional career, until his death in 1976. This photographer, who had a great social and human impact, began his early training in Logroño and perfected it in the first decade of the twentieth century, first in Lyon and then in Paris. In 1926, he settled in Zaragoza where he developed his career that combined his most personal and creative photography, specialising in travel and urban and natural landscape. His social and Christian concern led him to promote, in 1953, the San Valero Professional School belonging to Grupo San Valero, which gave young people access to working life through proper training. The Jalón Ángel Photograph Archive with San Jorge University in collaboration with the Cultural Activities Services organizes the annual Jalón Ángel Photography Awards. img. 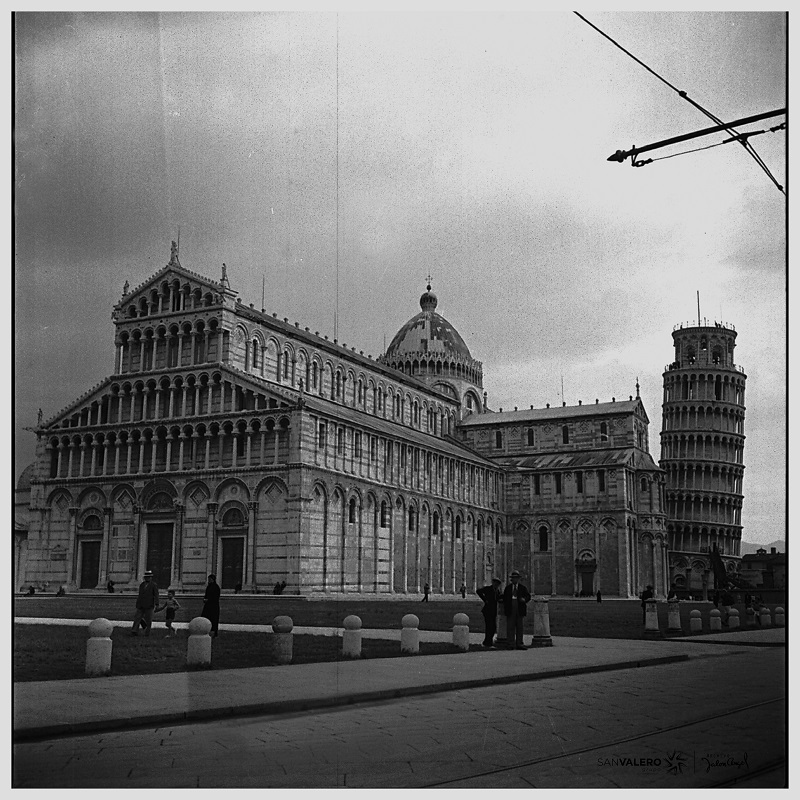 Jalón Ángel, Pisa (Italy), 1930s © Jalón Ángel’s Archive, Universidad San Jorge.